Our organic grow bags consist of grow slab made with coco peat / coco peat blended with Husk chips covered by UV treated bag. It consists of plant holes, drip holes and the drainage holes in it. Even we can customize the shape of the planting holes in different forms like circle, square and diamond. We are the best grow bags manufacturers, grow bags exporters, gro bag suppliers in Pollachi, Tamilnadu,India. Around the world, these Grow bags were to treat the hydroponics growers It is very easy to handle and customized with all the mandatory features. It reduces water utilization, according to the Crop, we can select any one of the following two variants like as Low EC and High EC. Coco peat grow bags suppliers in Coimbatore, India, were manufacturing the grow bag standard sizes after expansion, some of them as follows. 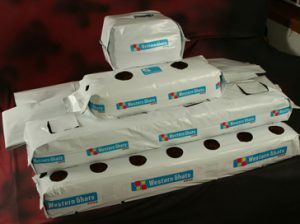 The grow bag standard sizes after expansion, some of them as follows. It’s one the best combination in grow bag when compared to others. It enables excellent root formation and the roots can have better hold on coco husk chip which is a better grip to the plants to grow. Coco peat & coco husk chips are blended grow bags. Coir fiber blend and Coco peat combination leads to the excellent drainage property which is suitable for the plants such as strawberry. 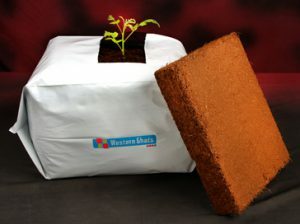 Grow bags are mainly used in poly houses and green house farming. Green houses can be used to provide a higher temperature and/or humidity than that which is available in the environment but can also protect crops from, daylight, hotness, hailstones, breezes and cold waves.It allows fruits and vegetables to be grown-up at times usually considered off period. In Green House, each factor goes on to be controlled by influencing a crop. Green house is often used in floriculture, nurseries andhorticulture as the financial value of flowers can justify their outflow. Temperature regions of greenhouses were mainly used in low and high. Green House have had a significant effect on the production, less water utilization, no chance to get affected by wind, Snow, Heavy Rain fall, pest attack and much more.